A new non-combat record was set on Oct. 2, 2012 by the 29th Attack Squadron, 9th Attack Squadron, and the 6th Reconnaissance Squadron which flew six MQ-9 Reapers and four MQ-1 Predators simultaneously during a training mission at Holloman Air Force Base, New Mexico. 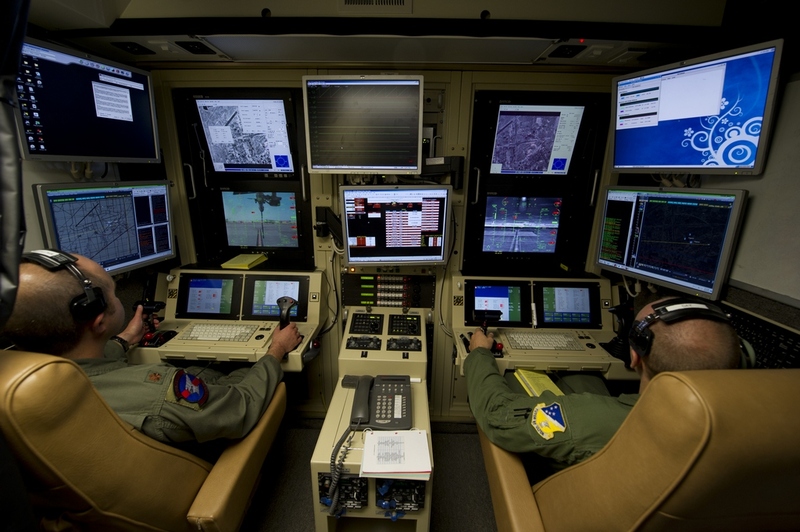 The new record was made possible by the recent increased training capacity of the 29th ATKS, 9th ATKS and the 6th RS, the squadrons that train all of the Air Force MQ-1 and MQ-9 aircrew members, that brought from 6 to 10, the amount of lines, (consisting of the aircraft, a ground control station and all maintenance and flight personnel required to keep an aircraft airborne) needed to meet the U.S. Air Force drone force training requirements. The record-setting training flights were manned by 10 crews composed of instructors and students, both pilots and sensor operators. It will arrive the day when there are more drones than conventional planes flying at a certain time…. The news of the record breaking came the day after Felix Baumgartner’s supersonic jump broke three world records.